Lady Arianna Hadley, now the Countess of Saybrook, is settling into married life with her new husband. To celebrate his birthday, she finds the perfect gift: a rare volume of botanical engravings on Theobroma cacao—or chocolate. But she is forced to fight off a stranger who tries to steal it away. Arianna and Saybrook forget about the incident until they attend a gathering on a country estate, where her assailant reappears and turns out to be a Russian diplomat. 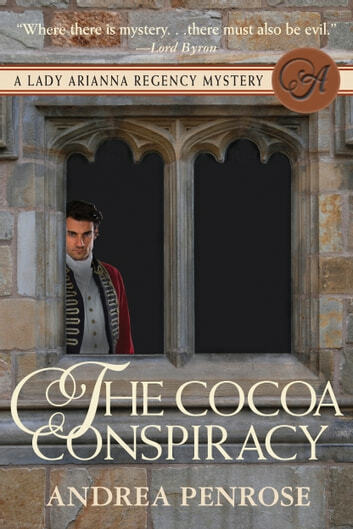 Events grow more ominous when Arianna discovers sensitive government documents hidden in the book's binding—documents that suggest someone Saybrook and she hold dear is a traitor to King and country. Murder. Treason. Money. Power. Once again, Arianna and Saybrook are drawn into a world of intrigue. 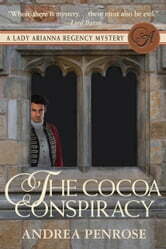 To unmask the real villain, they journey to the Peace Congress in Vienna, where amid the seductive pomp and pageantry of Europe's royalty they must root out a cunning conspiracy—armed only with their wits and their expertise in chocolate . . .